Survey 6: Fly Me to the Moon, Lumiere Brothers! Throughout 1895 – 1905 a lot of events happened that were the foundation for the society we live in nowadays. Women started fighting for their rights for the very first time in history, the first Nobel Prizes were awarded, and new technologies like, cinematographe, were developed. A lot of people are under the impression that the development of modern film technology is all thanks to the famous inventor, Thomas Edison, and his employee, William Dickson. Together, they developed two very first film technologies: kinethograph (basically a camera), and kinetoscope (a single viewer exhibition device that you use to watch kinethograph films). However, while they were busy inventing the two in the United States, people all over the world were going after a similar goal. 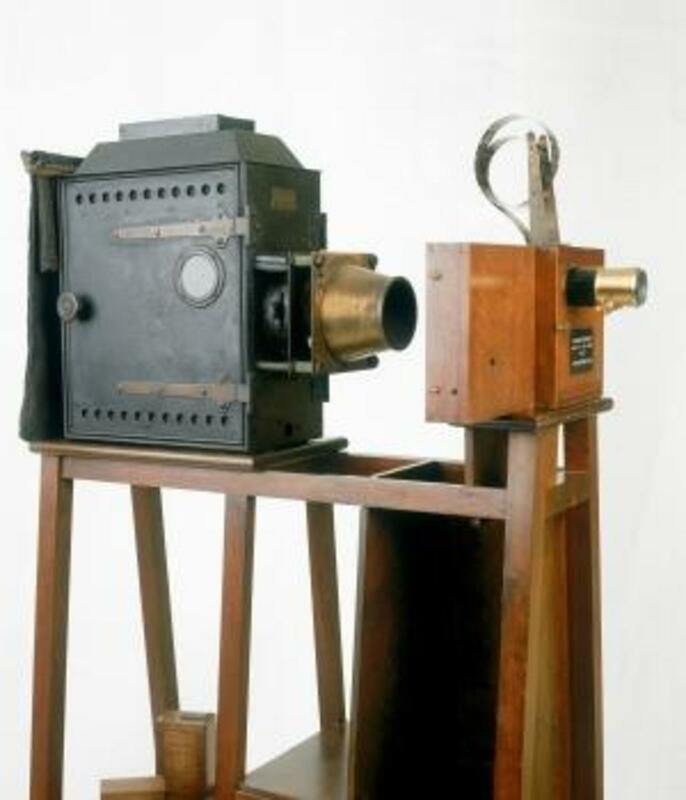 In Lyon, France, the Lumiere brothers invented a lightweight all-in-one motion picture device that made movies and exhibited them. They called it Cinematographe. It played back the developed roll of film shining a bright light through it to show images. Georges Melies, a French magician, director, and theatrical special effects specialist, got invited to one of the Lumier brothes’ movie screenings. And it of course blew his mind. He tried to purchase the cinematographe on the spot but the Lumier brothers weren’t ready to sell. But Melies did not give up. After searching all over the world, he ended up buying an animatograph. 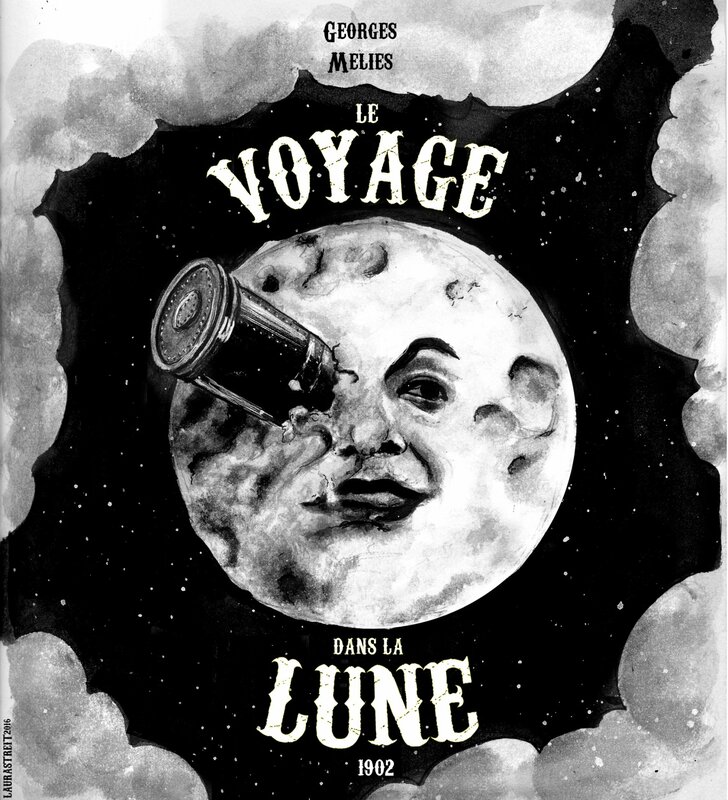 He now had the opportunity to direct the very first science fiction movie in 1902 called Le Voyage dans la Lune or A Trip to the Moon. Inspired by a wide variety of sources, including Jules Verne’s novels “From Earth to the Moon” and “Around the Moon”, the film follows a group of astronomers who travel to the Moon in a capsule, explore the Moon’s surface, escape from an underground group of aliens, and return in a splashdown to Earth. It features a cast of French theatrical performers, led by Méliès himself in the main role of Professor Barbenfouillis, and is filmed in the overtly theatrical style for which Méliès became famous.